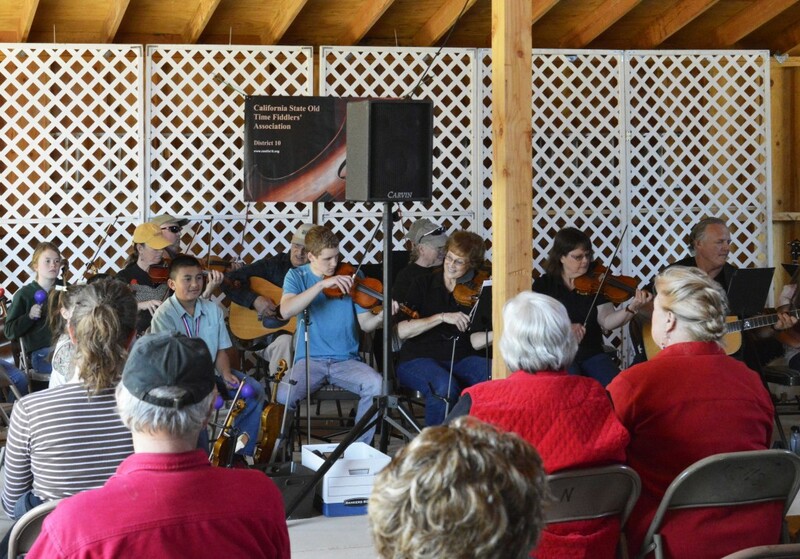 After February and March cancellations due to inclement weather, the sun finally beamed again on the First Sunday Fiddlers Jam at the Ely Stage Stop on April 6. The audience and musicians alike seemed to have pent up energy. 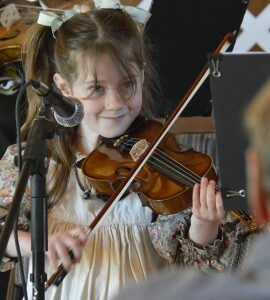 Many of the usual musicians spent the Saturday before at a rigorous competition in Cloverdale, but the barn filled quickly with musicians of all ages. The audience especially loved the kids. Several young members of the Konocti Fiddle Club treated the audience to the pieces they had performed at Saturday’s competition. The Fiddlers shined and there was singing and even a bit of dancing and a good time was had by all. The barn had two big crowds, the musicians and the audience. Many first timers and a lot of returnees filled the musicians’ chairs and the audience seats. Many could be heard commenting on how much they had missed the music in February and March. As people started arriving it was obvious it was definitely time for good weather, good music, tasty beverages and yummy munchies. Picnic tables outside the barn sported several picnics. We even had Happy Birthday fiddled for one of the guests. 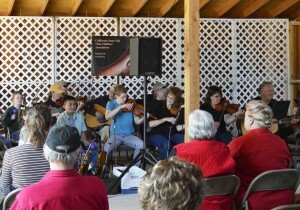 The First Sunday Fiddlers Jam returns to the Ely Stage Stop on May 4. The fun begins at the museum at 11:00 a.m. with the Fiddlers playing from 12 noon through 2 p.m. 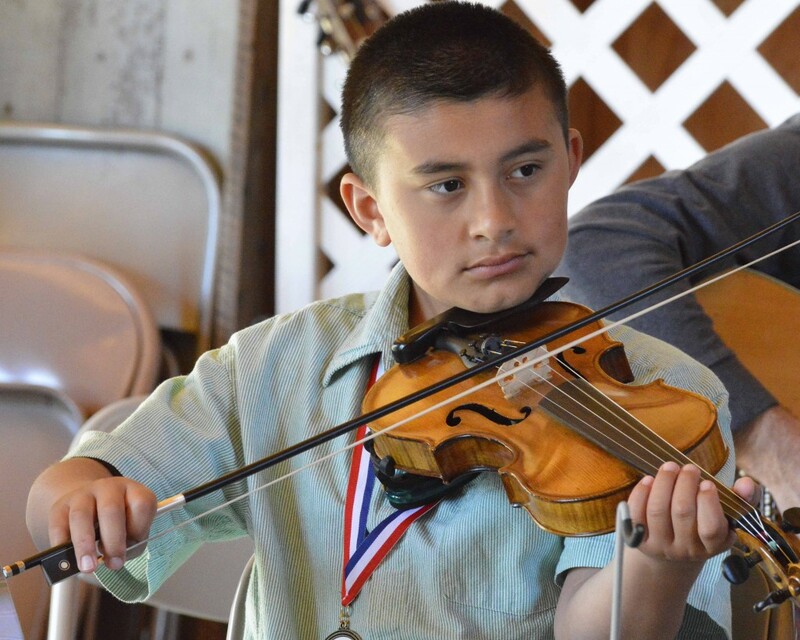 Donations will benefit the Ely Stage Stop and the Old Time Fiddlers Association. Come early and check out the latest museum acquisitions and displays. This free, family friendly event can be enjoyed by all, young and old alike. Enjoy the music with beverages and tasty treats. Bring your own wine and sip it in Ely Stage Stop wine glasses that are always available for purchase or bring your own glass. Come ready to clap your hands, tap your toes or get up and dance! On June 14th the Ely Stage Stop and Country Museum will celebrate the arrival of summer with a food and fun-filled day on the wrap-around porch looking out on Mt. Konocti. 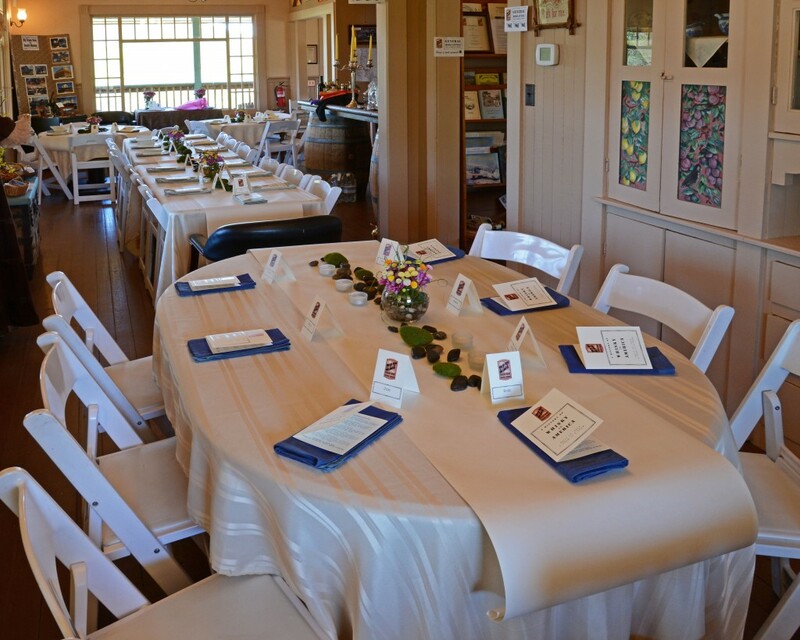 Last year’s guests were treated to displays of old fashioned aprons and teapot collections. This year the main house will showcase a quilt display loaned by Wilma Taylor and Victorian style beaded flowers and jewelry created by Ellen Dills. 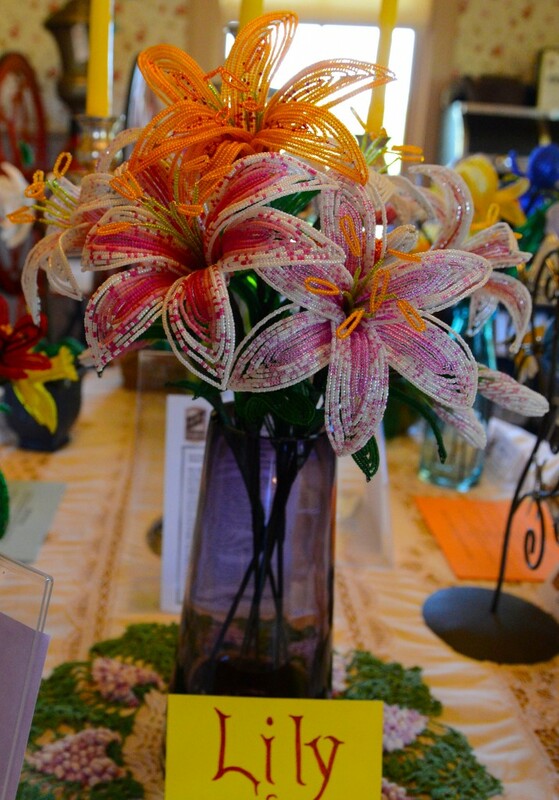 Select beaded pieces will be available for purchase with a portion of the proceeds benefitting the museum. In addition to the stage coach and retired San Francisco cable car, seldom seen pieces of historic farm equipment can be viewed in the barn and on the grounds. 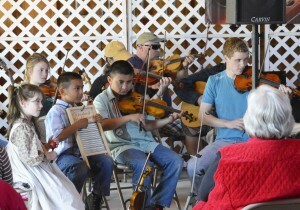 Hear live music of the Stage Coach Era performed by local musicians. Enjoy a delicious seasonal box lunch from Rosey Cooks, local gourmet caterer. Her lunch was a big hit last year. Bring your own wine to sip in beautiful Ely Stage Stop wine glasses that are always available for purchase. 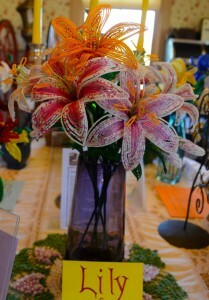 Games, basket raffles and silent auction items will also be highlights of the afternoon. Seating is limited so reserve now! Last year’s picnic sold out quickly and its return has been greatly anticipated by those who attended and those who missed out. The fun will begin at 11 AM and continue until 3 PM. 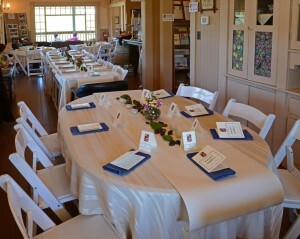 Event cost is $30/per person. For tickets, call Pam Hendricks at 707-279-0427 or visit the museum and ask the docents for tickets during museum hours, Saturdays and Sundays, 11 AM to 3 PM. Ely Stage Stop and Country Museum, home of the Lake County Historical Society, is located at 9921 Soda Bay Road (Hwy 281) in Kelseyville. Visit www.elystagestop.com or www.lakecountyhistory.org or check out the stage stop on Facebook at www.facebook.com/elystagestop. Attendees of the April 12th Ely Stage Stop and Country Museum’s latest fundraiser, Whisky in America, had a spirited good time. Tartan kilt clad docent Rob Sansom poured seven distinct whiskies provided by Stephen Beal, Keeper of the Quaich, Senior Master of Whisky for DIAGEO, the world’s largest producer of whisky. 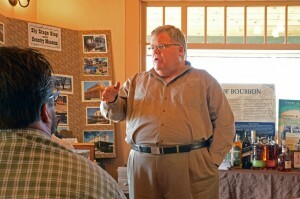 Distilleries represented were George Dickel, Bulleit Bourbon and Rye, Johnnie Walker, Bushmills Irish and Barterhouse. Rosey Martin of Rosey Cooks, local Caterer and Kitchen Magician, presented savory small bites that accompanied the whisky selections perfectly. Included in her selections were a Cheese Sampler, Grown up Mac and Cheese, Chicken-Waffle Sliders, Guinness Beef Stew and Irish Coffee Pot de Creme. 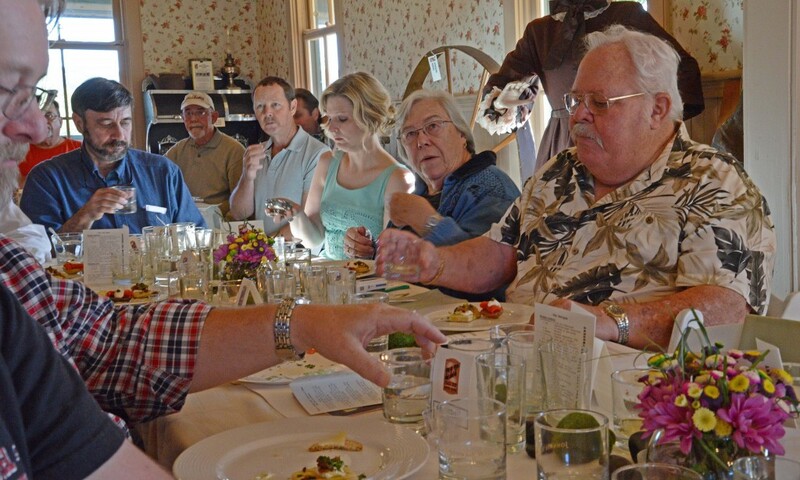 As guests savored the whiskies and food pairings, Beal spoke of the history of whisky in America, describing the broad spectrum of aromas, textures and tastes. He described the various grains, distillation pots, and oak casks used in the production of whisky. Participants learned how bottle shapes and labels evolved in functionality. The Keepers of the Quaich is an exclusive, international community of members recognized for their outstanding commitment to Scotch Whisky. The mission of the Keepers of the Quaich is to promote the values and image of Scotch Whisky as the world’s finest and most prestigious distilled spirit. Beal certainly did that for Ely’s guests that evening. The Ely Stage Stop was a perfect venue to highlight whiskies popular during the Victorian and Stage Coach eras. As a fundraiser, the event was a huge success. The event sold out and then some, with twenty eight folks in attendance. 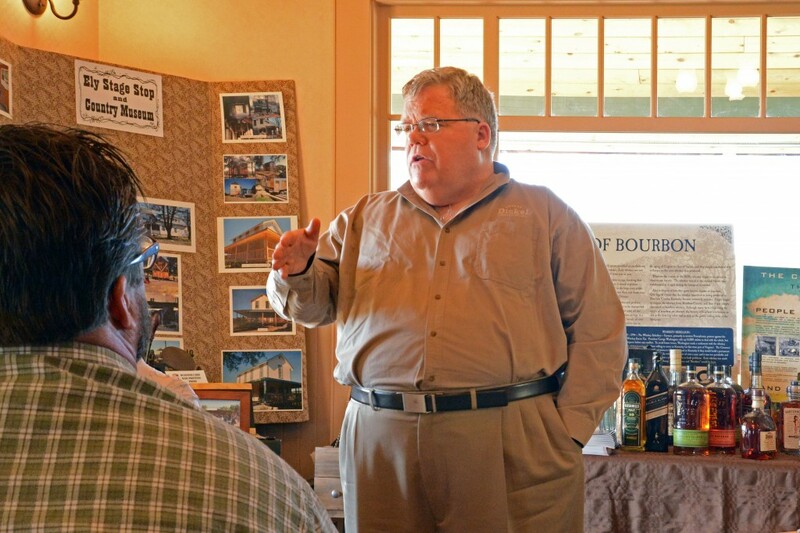 Funds raised will be used to help support the construction of a new working blacksmith shop on the property. The museum is located at 9921 Soda Bay Road (Hwy 281) in Kelseyville (near Clearlake Riviera). Normal hours of operation are 11:00 AM to 03:00 PM each Saturday and Sunday. 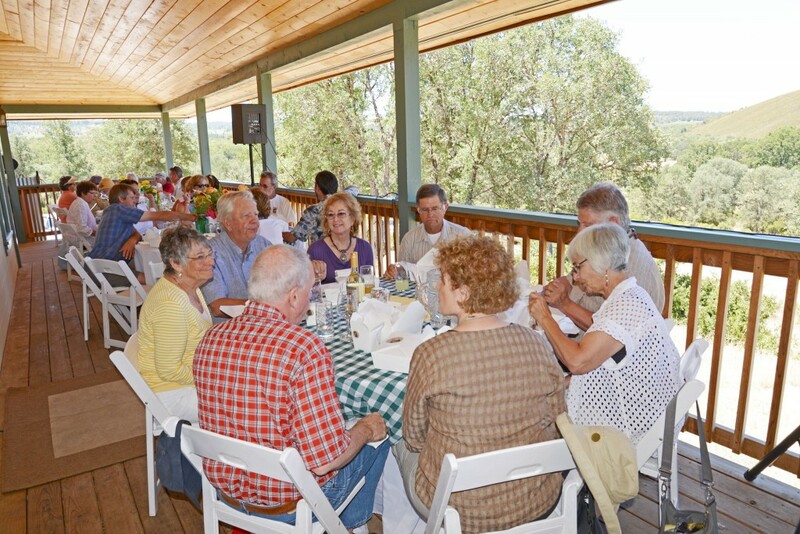 Contact number for questions about volunteer work, donations of old wood for barn construction, or docent applications is (707)533-9990.